Note: Aikido monthly membership only apply for Aikido class only. If you wish to attend other classes you need to purchase separate tuition. Dojo is the place where a martial art is formally taught is called a dojo ( dojang, wat, kwoon, heya), the term dojo is translated from the Sanskrit bodhi-manda which is translated as "seat of wisdom". The word dojo is itself a Japanese term that literally means " place of the way" or " place of enlightenment". Moksa Dojo is a space for yoga practice, martial art Aikido, meditation, music, Ikebana flower arrangement, culinary class, kids activity, special events, special dinner and community gathering. A slow-paced style of yoga with postures, or asanas, that are held for longer periods of time—for beginners, it may range from 45 seconds to two minutes; more advanced practitioners may stay in one asana for five minutes or more. Also sometimes called "Vinyasa Flow Yoga," this type of practice involves synchronizing the breath with a continuous flow of postures. The fluid, almost dance-like movements increase flexibility, strength, and stamina, as it calms the mind and improves overall health. The literal translation of the Sanskrit word "vinyasa" is "to place in a certain way." It refers to a certain sequence of poses that are performed in a particular order. Today, it also refers to the style of yoga that focuses on breathing in conjunction with body movement. Iyengar Yoga teaches us the importance of alignment and inspires us to use our intellect as we stretch in the Āsana/ posture. Through our practice we become more aware and present in the body. As our awareness penetrates deeper the body becomes balanced and energy can move more freely. The teaching of the technique is precise on how to get into the Āsana step by step, how to rotate, lift, press, stretch and extend the different parts of the body – the muscles, bones, joints and skin. The practice of Āsanas gives us strength, flexibility and stamina. It brings balance to the inner organs and nervous system. On a deeper level, this will also affect us psychologically in a positive way and over time, also contribute to a spiritual development. This class will be taught according to the level of the participant students of the day. Iyengar yoga is a fun way to develop a healthy body and mind and at the same time we get to know ourselves better. Join us for a Sattva Yoga Journey, the Himalayan Tantric-Kundalini Kriya Yoga tradition created by Anand Mehrotra. These practices involve breath kriyas, mantra chanting, moving meditation, yoga asana with radical alignment, dance, freedom movement, laughter, and a safe space to release all energy blockages. This practice specifically works with the nervous system in preparing it for kundalini experiences and guides us to master our own shakti energy. Kriyas work to generate electricity by combining repetitive movements and mantras in a moving meditation. This movement of electricity helps to awaken and transform ones' energy to create a physical, psychological, and spiritual shift in one's being. Combined with Iyengar-Style radical alignment, suited for your personal body-type, this practice transforms the individual on every level. Whereas yoga asanas (postures) take a minimum of 30 minutes to create an energetic shift in consciousness, kriyas take only a few minutes, while strengthening the physical body and energetic body simultaneously. Our facilitator empowers practitioners to heal themselves by creating a safe space for releasing trauma by encouraging the practitioner to deeply feel the experiences that arise. Sattva yoga is suitable for practitioners of any physical body type, age, ability, and health, as it works on our personal energetic environment, healing all blockages at the cellular level. Come laugh, cry, scream, dance, and transform while practicing yoga and connecting with other yogis. Aikido has been translated as The Way of unifying with life energy, The Art of peace, The Way of centering or Moving Zen. It is a martial art that is performed by blending into the motion of the opponent and redirecting the force of the attack. It is also one particular “Path of Truth” in the Buddhist sense. It is a warrior’s path, yet one which leads us to love our opponent, meeting hostility with peaceful reconciliation and bringing harmony into a hostile situation. Aikido strengthens inner power and deepens your connection with others. Qigong alternatively spelled chi gung or chi kung is a form of gentle exercise composed of movements that are repeated a number of times, often stretching the body, increasing fluid movement (blood, synovial and lymph) and building awareness of how the body moves through space. Tai chi (taiji), short for t'ai chi ch'üan (taijiquan; 太极拳), is an internal Chinese martial art practiced for both its defense training and its health benefits. The term taiji refers to a philosophy of the forces of yin and yang, related to the moves. Though originally conceived as a martial art, it is also typically practiced for a variety of other personal reasons: competitive wrestling in the format of pushing hands (tui shou), demonstration competitions, and achieving greater longevity. As a result, a multitude of training forms exist, both traditional and modern, which correspond to those aims with differing emphasis. Some training forms of tàijíquán are especially known for being practiced with relatively slow movements. Capoeira is an Afro-Brazilian martial art which combines fighting with performance art. It's a very recognizable style with its emphasis on acrobatics, attacks from the ground, feints, and spinning kicks, frequently all at the same time. Its usage dates back at least to the 18th century. Capoeira as practiced today stems primarily from two Mestres in the 20th century and their respective schools: Mestre Bimba, founder of the modernized Capoeira Regional in the 1930s, and Mestre Pastinha, founder of the more traditionalist Capoeira Angola that strove to keep closer to the art's roots. 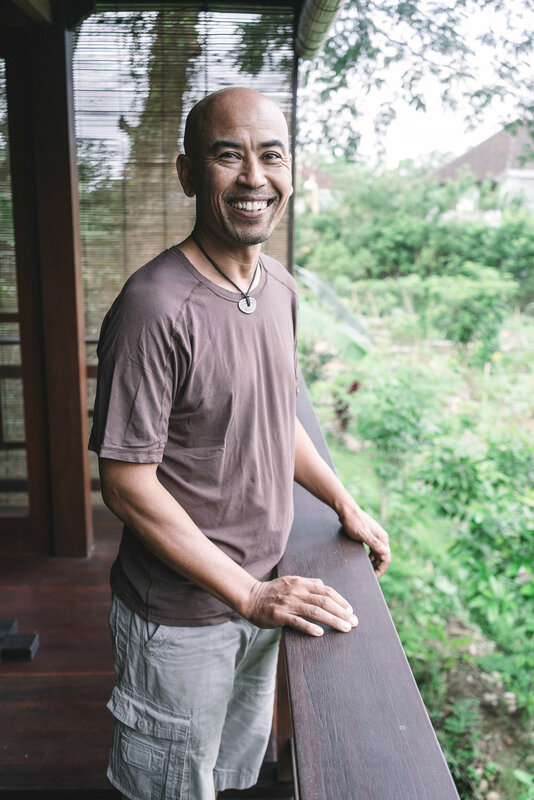 With his vast knowledge in both European and Asian cuisine, combined with his years of experience in hotel restaurants in Bali and overseas, Madé found himself facing a brand new challenge: How to make healthy food taste great? Madé began researching everything he could from Macrobiotics to Ayurveda, he went on to study at Living Light Culinary Arts Institute, USA. Under the tutelage of Master Chef & Founder, Cherie Soria, known as the “Mother of Gourmet Raw Food Cuisine,” he later became the world’s first Indonesian certified Plant-based Cuisine Chef. Combining his passion for learning with enormous creative talent, Madé has become one of the world’s top chefs dedicated to mastering the endless flavors, textures and techniques of plant-based, raw vegan, “living foods” cuisine, as well as an endless palette of exquisite cooked vegetarian dishes. After attending her first class in 1997, Yoga soon became a daily practice in and beyond its physical aspect. Since then, Anouk has experienced life in a variety of countries such as South America, Nepal, India and Indonesia. The cultural and spiritual encounters with these places have added richness to her Yoga classes. 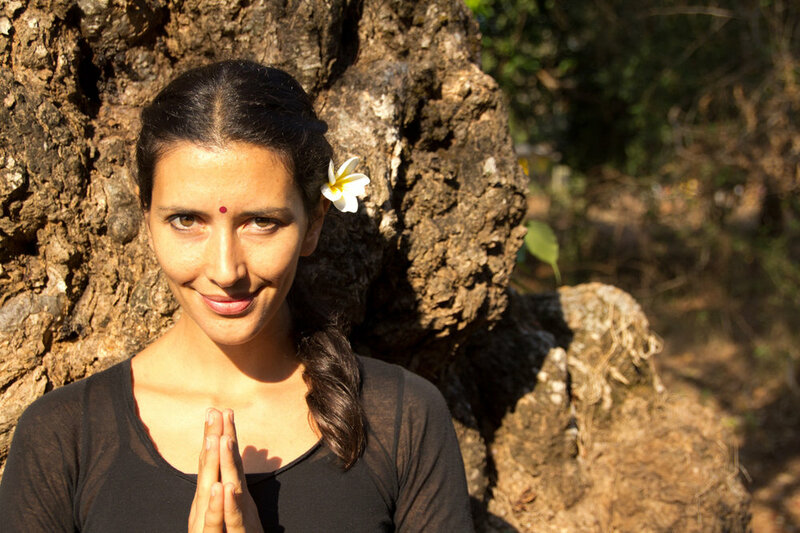 Over the last eight years, Anouk has taught regularly public classes and also in teacher training programs. Part of Anouk’s practice is a constant inquiry into the human condition, a gentle, daily self-observation, which orients her in interacting with the world. Today, Anouk’s sharing in Yoga is inspired by her heart teacher and husband, Emil Wendel. Sugeng "Madeira" Prasetyo, Founder of Capoeira Indonesia Association, has been practicing Capoeira over 15 years, teaching for over a decade, and has contributed to opening 12 Capoeira schools throughout Indonesia. 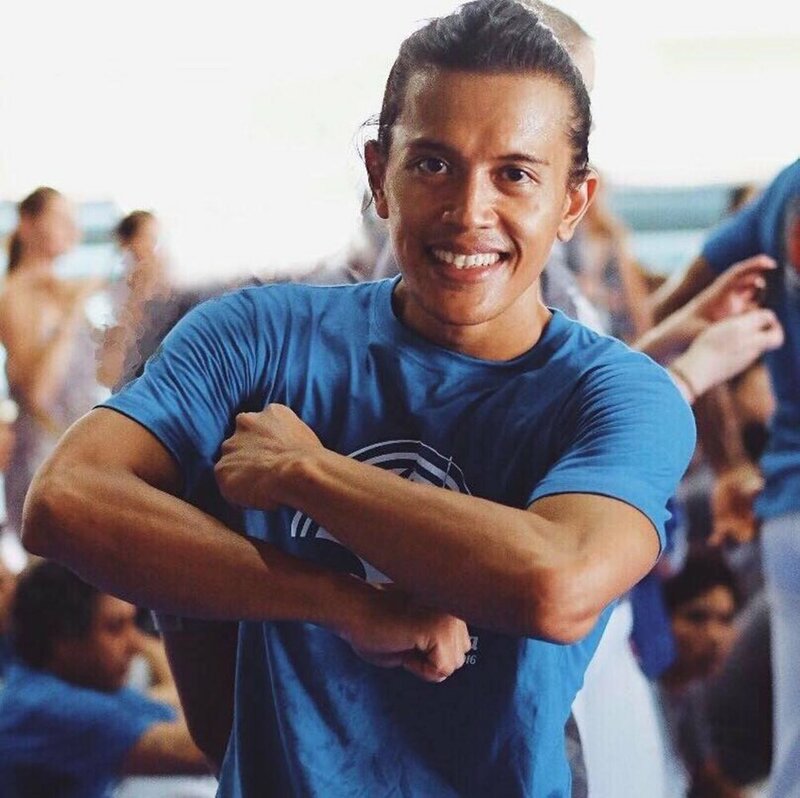 In addition to Capoeira, Madeira is a professional salsa and latin dance performer and teacher, and a a certified yoga teacher! His class offerings bring this diverse and unique experience along with a heartfelt playfulness onto the mat and into the studio in a magical way. Find Maderia teaching our Capoeira, Power Yoga, and Vinyasa Flow classes here at Yoga Barn, bring your smile and open heart and you we are certain you will not be disappointed. Janur has been practicing Aikido since 2003, when he began training at North Shore Tahoe Dojo in Lake Tahoe California. In 2005 he moved to Taos New Mexico and intensively training at Taos Kihon Dojo. He also trained in various Dojo during extensive travel in USA and Asia. Janur combines his background as certified Somatic Coach by Strozzi Institute California with his Aikido training. He considers Aikido as a spiritual path, and as a metaphor for daily life. The term Somatic derives from the ancient Greek means the living body in its wholeness. In Somatic Therapy we deepen our whole body awareness through dialogue, movements, and practices. This enables us shift old patterns that no longer serve us well and make choices towards the life we want to live. Understanding the body, mind, emotions and spirit as an integrated whole, or soma, is essential for our health and having a sense of meaning in our life. We teach clients the language of sensations, where they can more easily find presence, calling and change conditioning that is no longer useful. We offer plant-based culinary class under the guidance of our executive chef, Chef Made Runatha. In this course you will learn about how exciting plant-based cooking can be. We will help to arm you with the tools needed to live and eat a plant-based diet — from basic knife skills, to learning about how to convert or substitute recipes. You will also learn how to begin integrating more plant-based ingredients into your daily life, both inside and outside of your own kitchen. Scheduled every Wednesday and Friday for availability contact us at info@moksaubud.com. Advanced culinary class available upon request. With his vast knowledge in both European and Asian cuisine, combined with his years of experience in hotel restaurants in Bali and overseas, Madé found himself facing a brand new challenge: How to make healthy food taste great? Madé began researching everything he could from Macrobiotics to Ayurveda, he went on to study at Living Light Culinary Arts Institute, USA. Under the tutelage of Master Chef & Founder, Cherie Soria, known as the “Mother of Gourmet Raw Food Cuisine,” he later became the world’s first Indonesian certified Plant-based Cuisine Chef. Combining his passion for learning with enormous creative talent, Madé has become one of the world’s top chefs dedicated to mastering the endless flavors, textures and techniques of plant-based, raw vegan, “living foods” cuisine, as well as an endless palette of exquisite cooked vegetarian dishes.